Dante is a San Francisco Bay Area based magician and family entertainer. 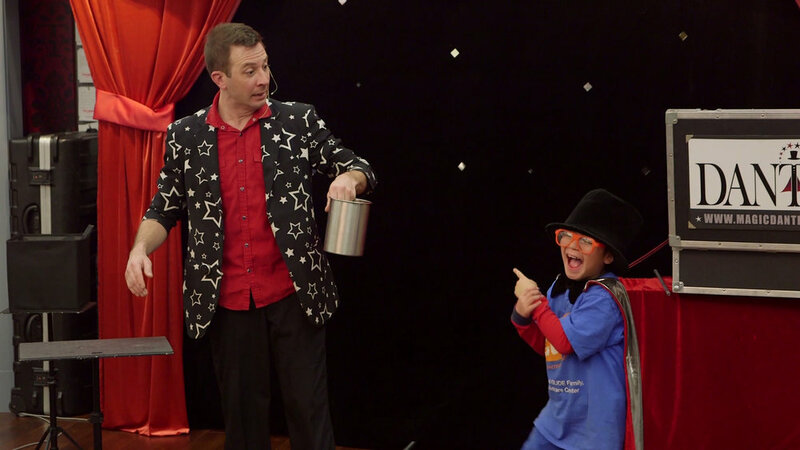 Dante combines magic, balloon twisting, and comedy to entertain audiences of all ages. Dante can make your child's birthday party a magical event they will love. “He is a master magician and entertainer, professional in all ways. He created an instant rapport with the entire group.” — Jane K.
“The kids and adults were laughing and enjoying every minute of the show. He was incredible!" —Melissa S.
“Dante is AMAZING!!! Great for kids and adults!” — Laura I. “Wow! Dante performed this afternoon at my 7 year old twins’ birthday party and he exceeded all of my expectations.” — Suzanne H.